"Last account activity", a very useful feature of Google mail, shows you information about recent activity with your account. This information is extremely useful for detecting or verifying unauthorized access to your email account. Critical information about each time you account was accessed, including time and IP address, is available with "last account activity". Click here for detailed instructions on accessing and using the information made available by "last account activity". Remember, Manhattan College ITS will never ask for your password or other personal information via email. Messages requesting such information are fraudulent and should be deleted. 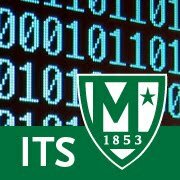 If you detect suspicious activity in your email account you should change your password immediately at https://start.manhattan.edu/changepassword/login. We recommend changing your password periodically to prevent fraudulent activity.